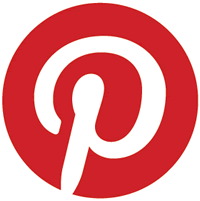 Pinterest - is it a useful business tool? 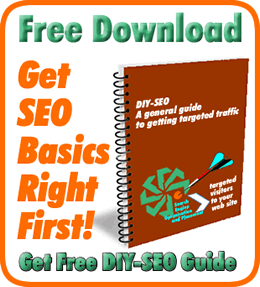 Pinterest – is it a useful business tool? Pinterest! Is it useful for business? A few weeks ago requested an invite (still by invitation although you can just request one) and was given access a couple of days later. Setup profile under business name (http://pinterest.com/webmedia/) and created/changed the default boards; one of which was ‘Art that does it for me!‘. It is a relatively straightforward process setting up your profile but there are always do’s and don’ts and this list from Mashable gives some guidelines: 8 Strategies for Launching a Brand Presence on Pinterest. Added 5 images from around the web and interestingly, within a few minutes, received notifications from Pinterest that 2 images had been ‘liked’ and one of them had been re-pinned 4 times. Not a bad response for not very much effort in a very short time! And, again, interestingly, none were from anyone I had followed or following me so Pinterest would appear to have a wider reach than some other social media platforms. Opportunities are there if creative! Similar to most other social media platforms it is not intended as a sales billboard but, depending on the your business type and demographic, it does have some possibilities if planned and approached creatively! As an example, during the Oscars, if you were in fashion, jewellery retailing or similar, you could have added an Oscars board highlighting similar products from own site (there were already countless). Or you could have added comments to existing boards with an embedded link. As a test, just did that on one relating to The Artist, which was showing in Hippodrome in Bo’ness, with a link back to upcoming Silent Movie Festival on a related client site. It would appear that similar to FB the majority of users are female (68%), of a younger age group (25-34), half have children and in higher than average income group. If that is your target demographic then it should be on your ‘investigate’ list. Infographic: http://mashable.com/2012/02/25/pinterest-user-demographics/ for more user data. From a search optimisation perspective it also has, at least at present, some opportunities. Each pinned item can have a description and within the description a link can be added. That link could be to additional resources related to the pin but it could also be, when and where relevant, to a page on your own site. At present, and it may change, but all links are ‘follow’ and not the more usual ‘no-follow’ so any embedded link will transfer valuable page authority to target page as each board/pin page appears to have a Google Pagerank of ‘6’; not always easy to get in normal circumstances. As usual most of the stats relate to research carried out in the US but can easily be extrapolated to the UK for more localised opportunities. Whether it turns out to be an essential business tool or just another option in your overall marketing mix remains to be seen but, at least, one eye should be focused on Pinterest and maybe even investigated in a bit more detail. There is no time like the present so go ahead and dive in! If you already have, let us know your opinion and how your using it and how successful it is!